Rich history, pristine landscapes and mostly flat countryside make Baltic Europe an attractive destination for cyclists. 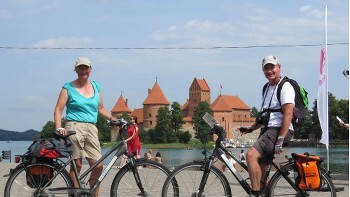 Join us as we discover the changing landscapes and rich culture of Lithuania on an exciting cycling adventure! Make your way along scenic bike paths and back roads, stopping to explore medieval castles, manor houses and farming villages where ancient traditions remain. 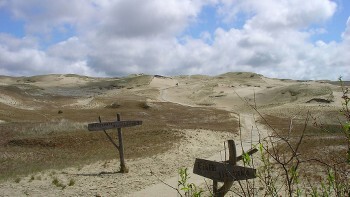 Explore the wild coastal scenery of the Curonian Spit, a World Heritage Listed and previously off-limits sand dune peninsula, and see thousands of crosses rising dramatically out of the Hill of Crosses, Lithuania’s most sacred pilgrimage site. Wander the cobblestoned back streets of Klaipeda’s Old Town, then head to Lithuania’s alluring capital, Vilnius, to discover stunning Baroque architecture and one of Europe’s largest surviving medieval city centres. 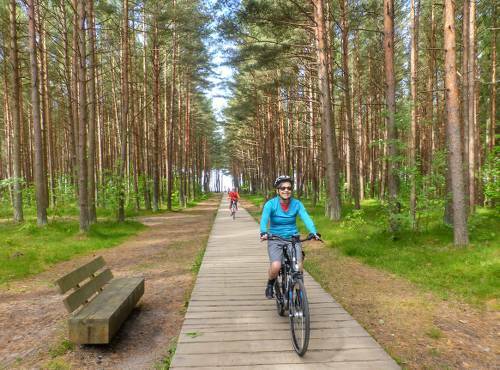 Take a look at our unique guided and self-guided cycling holidays and join us as we explore beautiful Lithuania by bike! 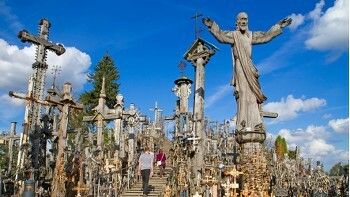 Teeming with hundreds of thousands of crosses of every shape and size, the hill has been a pilgrimage site for hundreds of years. The large rolling sand dunes and rare ecosystem of the previously off-limits spit extend into the nearby Russian exclave of Kaliningrad. Eastern Europe's only castle on an island, the historical Gothic Palace was built by Lithuanian dukes when Trakai was the capital city. Our active trips in Lithuania are designed to be affordable providing you with all the necessary ingredients for a successful journey at a price that will leave more in your pocket for those random shopping finds on the trail. Often family run, these charming hotels range from 2 to 4 stars and provide access into local living thanks to your hosts. The hospitality is generous and their local knowledge is invaluable. Where possible, we choose locations that add to your experience. Electricity in Lithuania is 230 Volts, at 50 hertz. The pin type is C. (2 round prong).